CBEP Habitat Protection Fund RFP is available here. Casco Bay Estuary Partnership (CBEP) is offering grants to support the permanent protection of targeted habitats in the Casco Bay watershed through its CBEP Habitat Protection Fund (Fund). 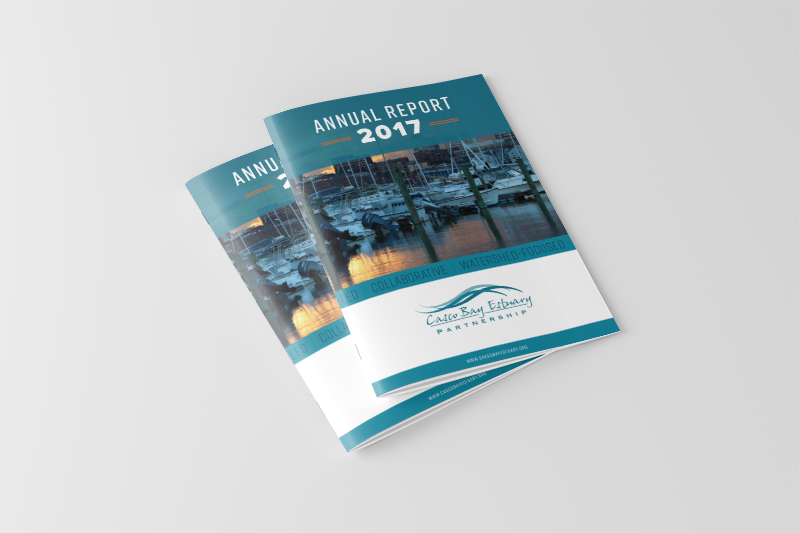 The Fund will be administered through grants from CBEP via the University of Southern Maine, in partnership with Maine Coast Heritage Trust (MCHT), Maine Dept. of Inland Fisheries & Wildlife (MDIFW), and U.S. Fish & Wildlife Service Gulf of Maine Coastal Program (USFWS). A total of $20,000 is available this round. Applicants must provide tax parcel lot/map information to USFWS and CBEP no later than March 15, 2019. USFWS will then prepare a standard series of maps to accompany each proposal on a first come, first served basis. 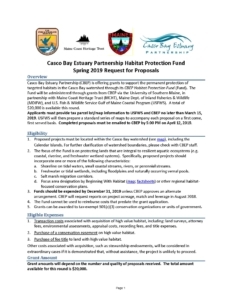 Completed proposals must be emailed to CBEP by 5:00 PM on April 12, 2019.